Unfortunately, bullying of students with disability, including abuse and violence at school is not a new, unusual or unknown experience, writes Children and Young People with Disability Australia CEO Stephanie Gotlib. Many in our community were rightly sickened by the footage which emerged recently of a young boy with disability being violently assaulted by peers outside a secondary school in Melbourne. None of us should be reassured by claims that this is a rare incident. Unfortunately, we at Children and Young People with Disability Australia regularly receive reports of students with disability being victims of bullying, violence and abuse at school. We conduct a national survey of education experiences of students with disability every year. Last year 56 per cent of students had experienced bullying in the previous 12 months. That is more than twice the rate of bullying it is estimated the general population of school aged children experiences. Incidents reported last year included students with disability being attacked, punched, kicked, head butted, having food or rocks thrown at them, being teased, mimicked and spat on, cyberbullied and even being told to commit suicide. One student reportedly had a skipping rope wrapped around her neck and an attempt was made to strangle her. The disturbingly high prevalence of bullying of students with disability has been brought to the attention of governments and education departments over many years. The Held Back Report by the Victorian Human Rights and Equal Opportunity Commission examined the experiences of students with disability in Victorian schools in 2012. It stated that bullying was a significant and widespread problem for students with disability, with six out of 10 reporting they had been bullied because of their disability. The Held Back Report made specific recommendations to address the bullying students with disability endure. These included the development of specialised programs, data collection on the incidence or witnessing of disability-based bullying, professional development for educators and improved processes for addressing bullying which includes proactive strategies. Every recommendation stressed the importance of addressing disability-specific bullying. Yet last year when the Victorian Human Rights Commission completed an analysis of progress, five years after the release of the initial Held Back Report, it found the recommendations had not been implemented. General initiatives to address bullying have been undertaken, such as the Bully Stoppers anti-bullying program, but limited action had been taken to address disability-specific bullying. Many other parliamentary state and national inquiries have highlighted the high prevalence of bullying for students with disability in and associated with schools and the need to address this. Other studies back this up. 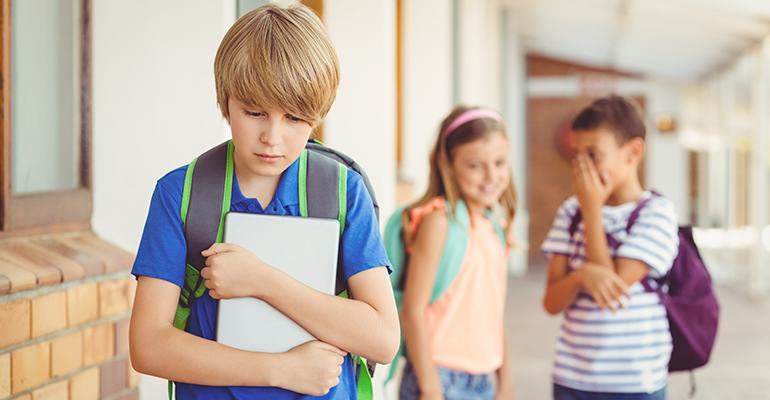 A report on the economic cost of bullying in Australian schools released by the Alannah and Madeline Foundation in April 2018 confirmed this alarming statistic revealing that two out of three students with disability have been victims of bullying. Last year the article “Living a Nightmare”: Bullying Forces Bryce to Skip School for Lunch with his Mum (The Age 8/11/17) detailed the experience of a student in year seven who reportedly had to leave the school at lunch times as part of school safety plan to prevent being bullied or assaulted. Many other students with disability and families commonly report that schools do not have the understanding, expertise or resources required to address and resolve the bullying of students with disability. As a consequence students with disability experience long term harm and sometimes opt to leave school or attend part-time because they feel they have no other option. Unfortunately, bullying of students with disability, including abuse and violence at school is not a new, unusual or unknown experience. This latest incident is not rare. It is another blatant example of the need for urgent systemic action. 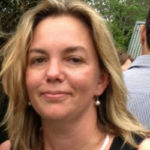 About the author: Stephanie Gotlib is chief executive officer of Children and Young People with Disability Australia (CYDA), the national representative persons organisation for children and young people with disability aged 0 to 25 years. She also has personal experience of disability as a parent and a sibling.